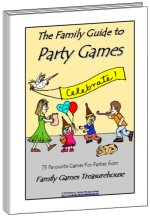 Family Reunion Trivia Game is a great way to catch up with all your relatives in a fun game. 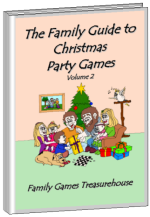 Aim: To be the player who knows the most trivia about their family and relatives. 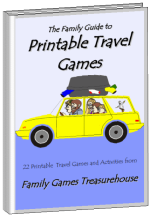 Family Reunion Trivia Game can be run in two versions. Prior to the reunion (or during the event if you have time), find out some fun and interesting trivia for each person. Record the trivia and the name of the person, but keep the list secret so that no one except the organiser knows it. Uncle Albert has always named his cars. What was the name of his first car? You will need to ask one question for every person. 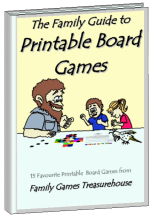 Players can then write their answers on a sheet of paper or, if are really organised, you could type up and print enough copies of the entire quiz for players to answer. Players are not allowed to ask anyone else for answers or hints. In this version, players try to guess the person who "owns" the trivia. For example, the organiser may ask, "Who broke their leg while skiing on their honeymoon?" Players will write down their guess (e.g. Aunt Mildred), again without asking anyone else for hints or answers. For both versions, when all the trivia questions have been asked the organiser goes back through the quiz and tells everyone the answers. The player who knows/guesses the most correct answers wins the game, although you could also play this as a non-competitive game without any winners.